Reader – my books. my life. Note: Until I get caught up, Thursdays will be reviews of books I read some time last year and never reviewed. They will be closer to mini-reviews than regular reviews. I read this awhile ago, so I was going to use the publisher’s summary and then I remembered that I didn’t like the publisher’s summary because it sort of gave away a plot twist WAY down the line, so here is my attempt, many months later, at telling you what this book is about. In 15th Century Brittany, Ismae is meant to marry a brute of a man when she is saved and delivered to the convent of St. Mortain. She chooses to stay at the convent and serve St. Mortain, the god of death as one of his assassins. She is given an assignment in the high court of Brittany, during time of great political turmoil, where she finds treason, lies, and, potentially, love. Once I understood that Brittany is not Britain and that, at the time this book is set, it was a region trying to maintain its independence from France, things made a lot more sense (I will not tell you just HOW far into the book I was before having this realization). I highly recommend reading the Wikipedia page on Brittany before starting this one if you are not a history buff. The setting is, obviously, new to me and it is full of plenty of things to keep this book interesting. Politics, alliances, treason, family, love – it certainly didn’t lull. At the same time, the book didn’t grab me for some reason I am not able to explain. I am not even going to pretend I remember what the audio production was like. But I would remember if it’d been awful. No one expected Sal Mitchell to survive the car crash. Yet moments before her family was to pull the plug, she wakes up. Six years later, she still has no memory of anything that happened before she woke up, but she’s managed to piece together a life, albeit under the close watch of both her parents and SymboGen, the biotech company that saved the world by having it ingest tapeworms. Practically every person on Earth has ingested a parasite that protects its host from everything from allergies to cancer. But these tapeworms may not have been the cure-all the world hoped for. And Sal finds herself in the middle of a battle over what to do with it. As you may recall, I adored Mira Grant’s Newsflesh trilogy. So my expectations were pretty high for this one. And they were mostly met. Grant created another unique world that kept me engaged the entire novel. The big revelation at the end wasn’t a revelation to me and I can’t imagine it is for any reader. Perhaps that was intended but it did make the end a bit anticlimactic. Regardless, I am very much looking forward to the second installment of the Parasitology trilogy. 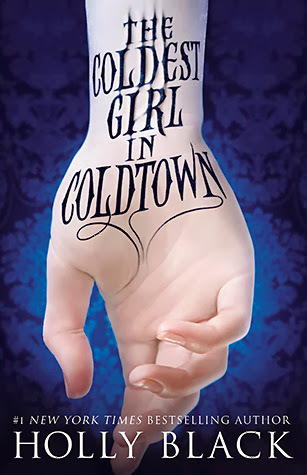 I first encountered Christine Lakin a few months ago in The Coldest Girl in Coldtown. She once again wowed me. Go with the audio on this one. I couldn’t let the end of the year pass without at least one recap, right? Note: I usually do an extensive stats post (2012|2011|2010|2009|. It takes a long time to prepare (especially since I never keep up with my spreadsheet during the year) but I love the result. However, I don’t have hours to spend recreating a reading spreadsheet this year, so as sad as this makes me, these stats are going to remain unknown. 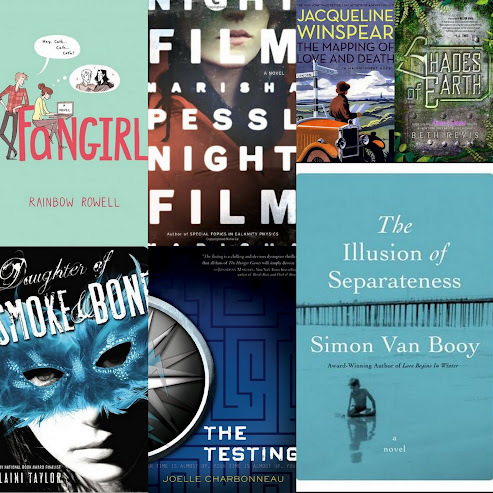 Likewise, my favorite books of 2013 lists above were not given the level of thought and creativity which I usually put into them. They are simply a compilation of the books I gave 5 and 4.5 stars to, respectively. If anyone is still reading this blog, bear with me here. And stay tuned for tomorrow’s post where I talk about the upcoming year. How was your reading year? Are you ready for 2014 for a fresh start like me? The Little Prince was weird. Like really weird. I don’t think I understood it. Jen? Can you explain it to me? Charlie and the Chocolate Factory is just as I remember it. Maybe funnier. Definitely a book I hope to revisit with E when he’s older. I haven’t nursed Evan before bed in months, so we haven’t started anything new in awhile, but I am looking forward to reading as a family again when E is a little older (readaloud time with an active toddler lasts approximately 45 seconds so we stick to board books). 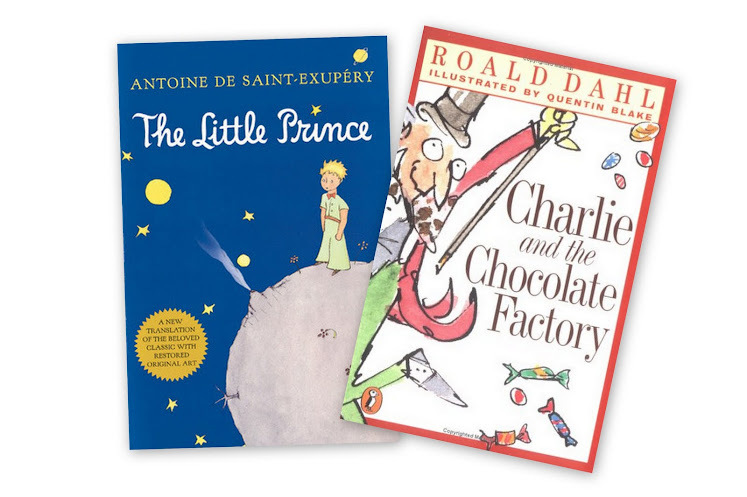 What books have you enjoyed or do you hope to enjoy with your children? So here is what I am going to do. Despite the fact that I barely read these days, I am crazy behind on writing reviews. So I am going to do some mini-reviews. I’ll be using publisher’s summaries instead of writing my own and probably keeping my thoughts to a few sentences. But at least I’ll be catching up and you’ll finally get some long overdue reviews. Best friends Julia and Ashleigh are looking for some romance, but Ashleigh’s ways make Julia a little uncomfortable. While crashing a fall dance, they are befriended by two boys, one of whom being the mysterious male that Julia had seen at the mall. Unfortunately, Ashleigh has laid claim to her mysterious boy first. Julia is totally confused about high school love. 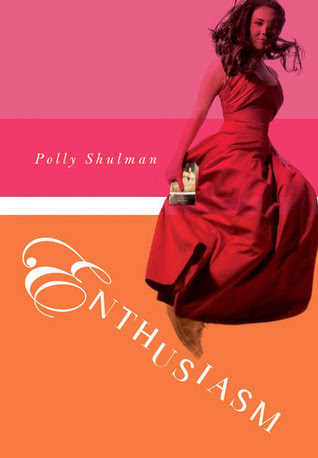 This book was a fun read for any Jane Austen fans out there. It’s light and funny and is really a very sweet story of friendship. It’s not going to change your world. It’s not going to make you think. But it will entertain you. It was just what I needed after a long, less-entertaining audiobook. When I first started listening, I thought there were some weird pauses but they either went away or I got used to them. Ikeda did a good job capturing the feel of this book. When Tana was a child, the world faced an epidemic of vampirism, which spreads like a disease. Several years later, Tana wakes up after a party and discovers everyone else is dead except her ex-boyfriend (who is now infected) and a captive vampire. So they head to the nearest Coldtown – a quarantine for vampires, infected humans, and humans looking to turn, where Tana is in for a bit more adventure than she plans for. So I think I can officially declare that I am over vampires. This was supposed to be the book that even those of us burnt out on vampires would love, which is why I picked it up after initially passing it over. And I get why – it was a good book. It was dark and gritty – none of that sparkly vampires at your high school stuff. People die, people turn into vampires, people betray each other, yet Tana hangs on to her humanity (and her bravery) through it all. Tana is a strong teenager forced into extraordinary circumstances and she never loses her cool. I should have loved this book. But my feelings toward vampires (sometimes “meh,” sometimes full on aversion*) unfortunately took away from my enjoyment. So, bottom line: I think you will like this one if you (a) still like vampires or (b) don’t have strong feelings either way about vampires. As for me, I am going to move on to something else. Zombies? Angels? Unicorns? I don’t have to qualify anything here. Christine Lakin did an excellent job. She was a perfect voice for Tana yet handled all of the other characters with ease. If you plan on reading this one, definitely check out the audio version. *So I read The Radleys when I was in the puking-every-day stage of pregnancy (two years ago!) and I think it’s stayed with me. References to drinking blood now give me nausea. Isn’t that weird? Look guys, I finally read and reviewed a Bloggers Recommend book. Look at me, participating in my own challenge. As Cath and Wren head off to college, Cath feels like her twin sister is leaving her behind. The two used to be inseparable, even writing really successful Harry Potter-esque fanfiction. Now Cath is left on her own to navigate classes, friendships, writing, family, and boys. I don’t know if I’ve ever shared that I had a really hard time my first semester at college. I was really good at high school, but college overwhelmed me. I was only ten miles from home, but I was homesick all the time and felt like all of my friends were fitting in so much easier than I was. I went through the motions – the classes, the parties, the drinking – but it was really hard for me and I wasn’t happy. (Ben actually helped me through it the best even though he was 100 miles away in Kalamazoo – my rough semester is probably why we’re together now). So I connected to Cath immediately. I am not quite as nerdy (though I probably would have done better with an internet full of friends back then) and definitely not as socially awkward, but I really did connect to her. It certainly helps that Rowell knows how to capture feelings like she practices magic herself. 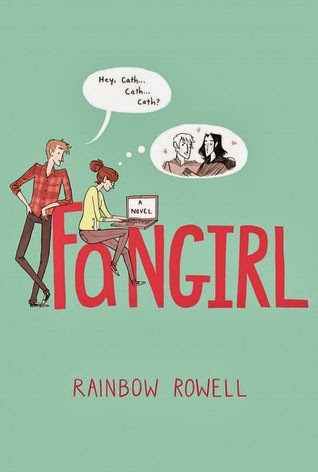 Fangirl is heartwarming, real, and funny. It examines family, friendship, romance and how these things change as life changes. If you haven’t picked up one of her books yet, you really must.